The Democratic Party (DP) Chairman Lulzim Basha was received with cheers by some militants in the city of Fier, where he held meetings with citizens and business representatives. The unemployment and the VAT scheme were the main concerns of the citizens. Basha spoke of a new government that has a serious economic plan to generate new jobs. "A government that has an economic plan to generate new jobs, jobs with dignified salary, with dignified conditions. This is the DP's priority, this is the priority of our parliamentary group, this is our priority. This is completely possible. Anyone who says the opposite is lying and goes for Edi Rama's account," he said. He invited the citizens of Fieri to join the 16 February protest in order to through in the River, the last weapons with which Rama government fights, and according to Basha are the despair, loss of hope, suspicion and mistrust. "Despair, loss of hope, suspicion and mistrust are the last guns of this ruling gang, so I invite you on February 16 to through away these weapons in order to jointly rebuild the engines of the economy, through the freedom, the possibilities, employment that we will make reality through our economic plan," - continued Basha. Basha sent a message to the Prime Minister from Fier about the student protest. 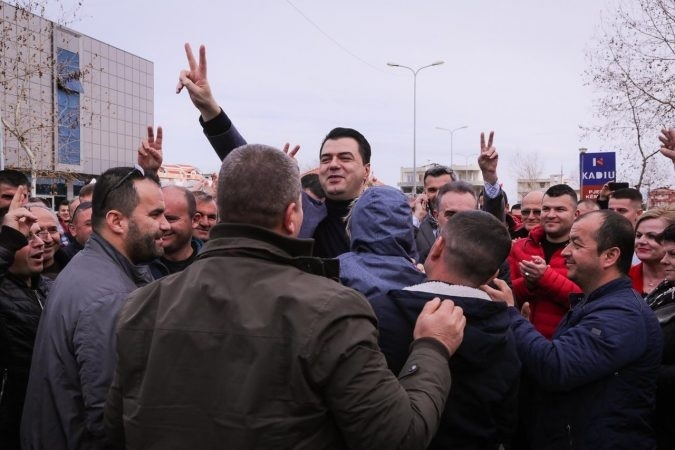 "No chance for Edi Rama to burn the academic year to the students, he will be fully acquainted with the deep gratitude of the Albanian citizens for their role in this great national awakening and will have only one conclusion, the liberation of Albania from the oligarchy, the liberation of Albania from crime".